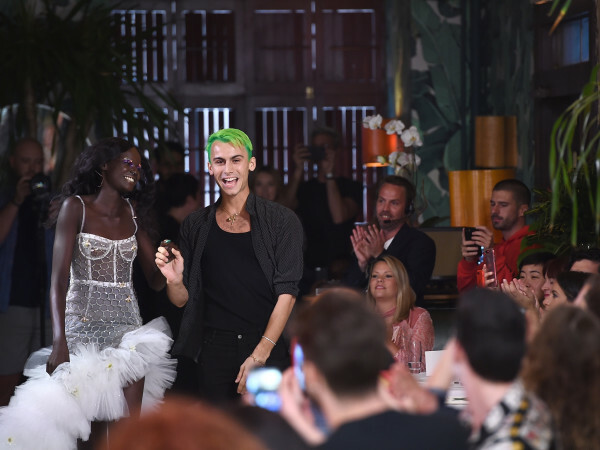 There's been a fair share of "doom and gloom" at New York Fashion Week, with designers unsure how best to entice customers to part with their hard-earned cash as the fashion world vigorously debates whether to alter traditional delivery methods and sell direct from the runway. 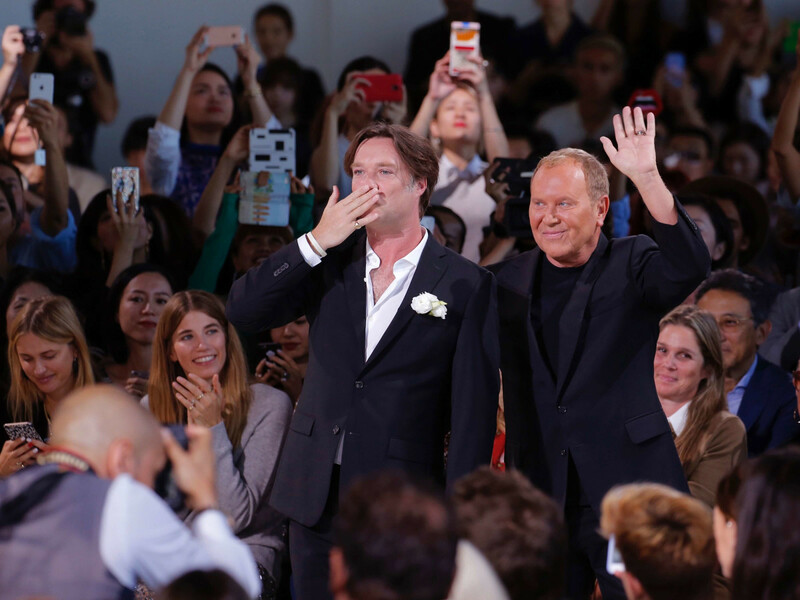 But Michael Kors is more upbeat. A few days before he unveiled his spring 2017 collection on a sun-filled New York day, the longtime designer was asked for a hint about what we'd see on the runway. He answered in one word: "Optimism." 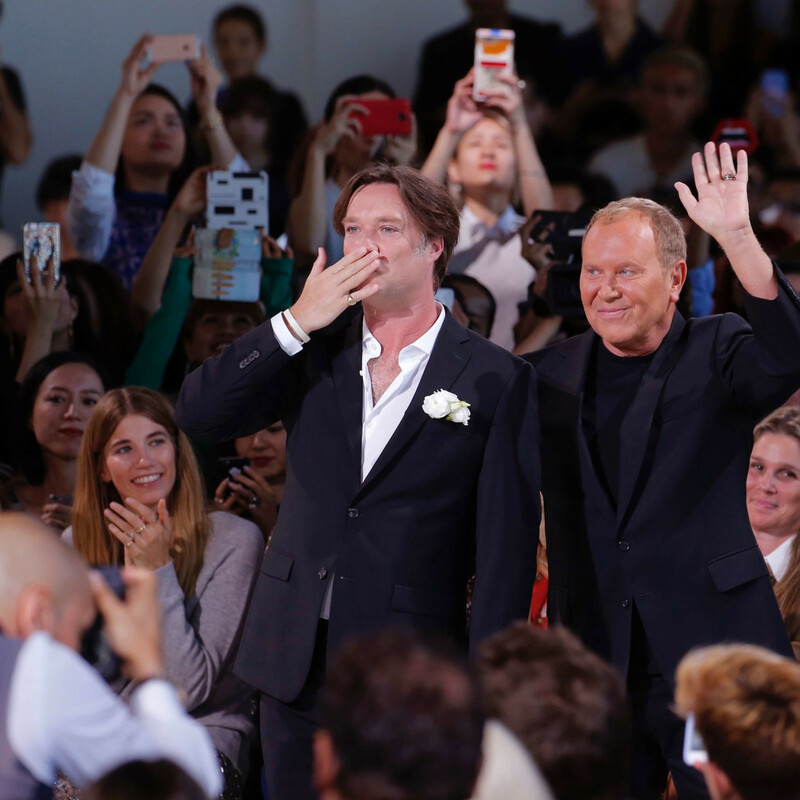 Kors certainly stuck to his word, bringing in Rufus Wainwright, who performed such classic Judy Garland tunes as "Get Happy" and "Almost Like Being In Love/This Can't Be Love" with a seven-piece band in the middle of the runway as models passed by on all sides. 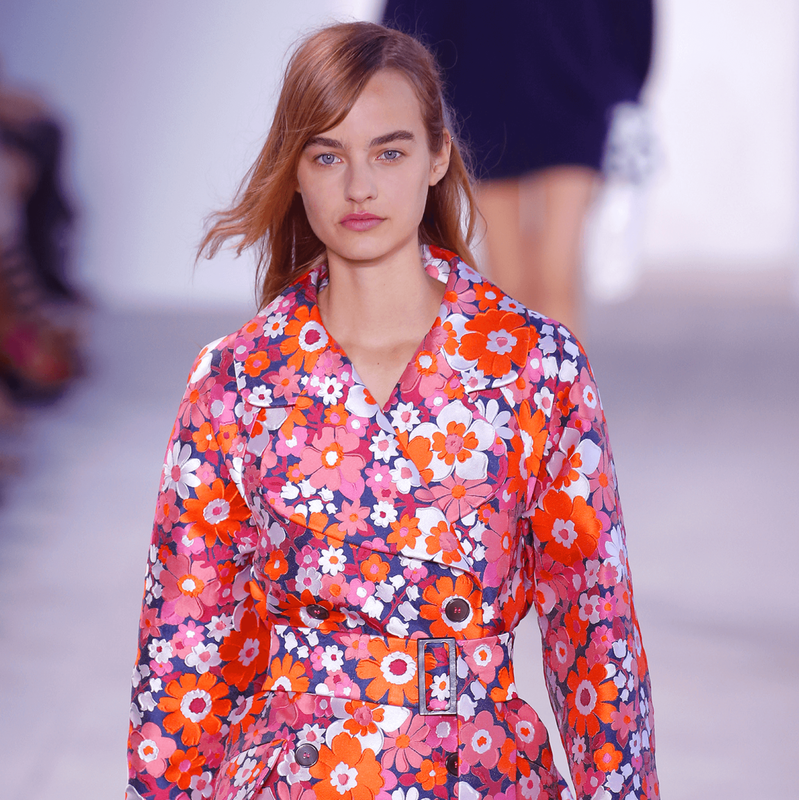 It was indeed a happy show as Kors sent out dozens of models in brightly-colored florals of blue, pink, green, and brown. 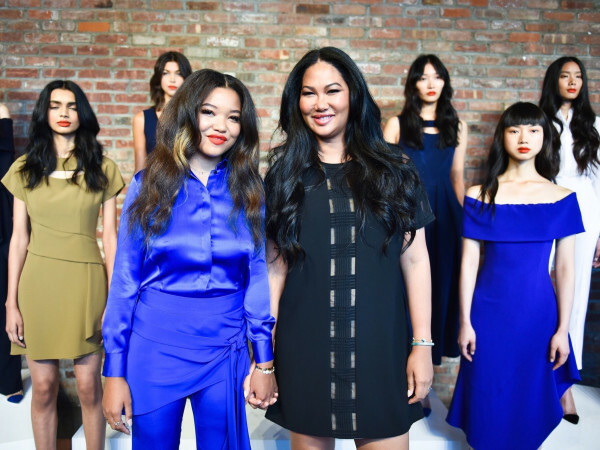 The floral looks were varied, coming in a host of fabrics and styles, including a plunging satin jersey dress, sequined cashmere vest, silk blouse, crepe palazzo pant, jacquard bralette with sequined embroidery, and bikinis with 3-D floral embroidery. 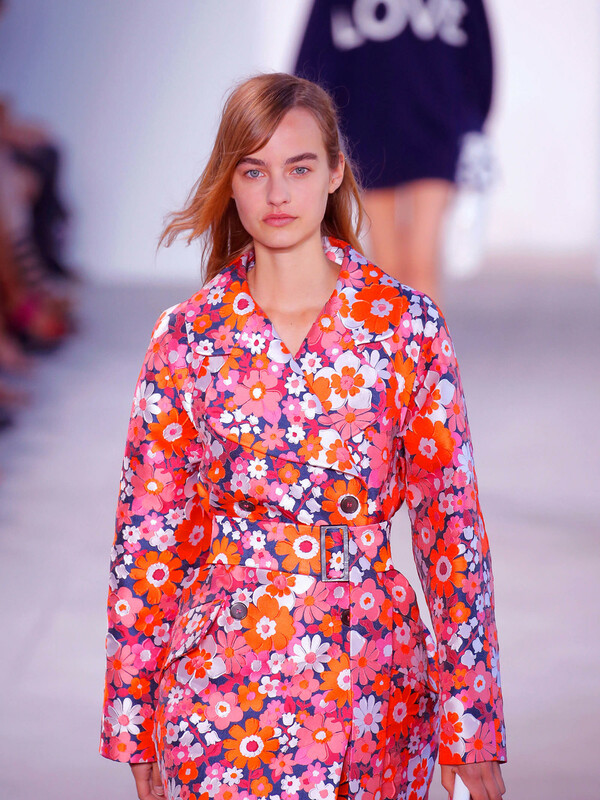 For those not into florals, Kors offered a ton of basics, leading off with a crisp navy coat dress with white cotton collar, white jacket and trousers, beige trench coat, and oversized gray sweater. Among the great, never-goes-out-of-style looks was a white silk blouse with buttons along the sleeves, paired with a black silk skirt that flares out at the hemline. 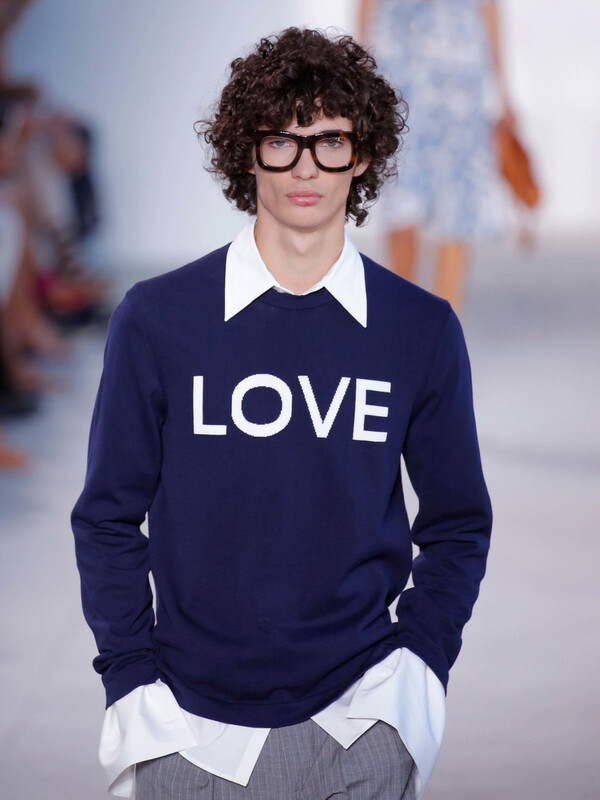 A navy cotton pullover for both men and women with the word LOVE spelled out in white letters on the front trumpeted the theme of the day. The only hint of discord came when model Bella Hadid took a tumble on the runway right near where I was sitting. But she smiled the whole time as she jumped up, later joking on Twitter, "Guys I'm a professional break dancer now I forgot to tell u." Wainwright slipped in a political plug as he said at the end of the show, "Weren't those ladies gorgeous? I'm with her," referencing a Hillary Clinton slogan. 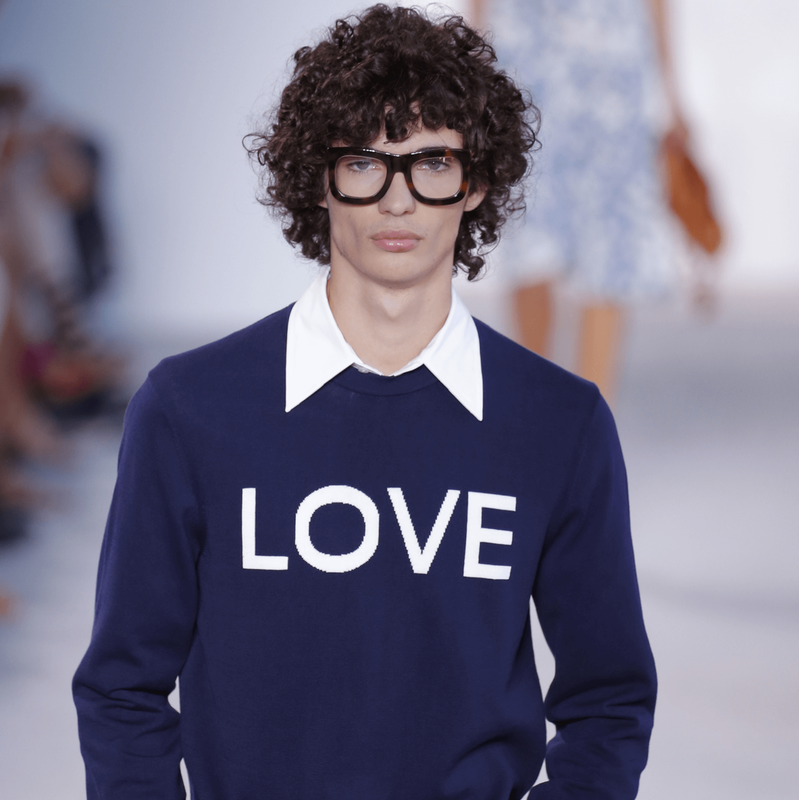 Most of the looks won't be available until spring, although Kors is offering 13 looks, including the LOVE sweater, floral sequined cashmere vest and floral slip dress, immediately online and at selected Michael Kors stores.